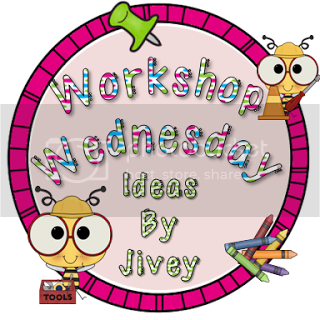 Workshop Wednesday: Math Workshop and a Freebie on the 15th! to talk a little bit more about how I start up my math workshop. I talked a little bit about what I do the first few days during math class (you can read about it here - there are a few freebies there too if you missed them). I wanted to add a little more info on how I sort my students into groups for math. In that previous post, I shared a simple math survey I use. This gives me a quick idea of how the students feel about math - so that when we are doing math problem solving or inquiry I can pair up a student that has some negative feelings about math with some one a little stronger. Also I can be prepared to provide them with more modelling and prompting when discussing their thinking (I have had consultants come in and push my students to tears since they were not aware of their comfort level with math :( ). In addition I do a quick place value assessment. The first one seems really simple when you hear it, but it really does give you some good info on how your students are making sense (or not) of numbers. This is my own version based on a real version that I can no longer find. So the students just count up how many stars there are. They write the number down (there are 34 FYI). 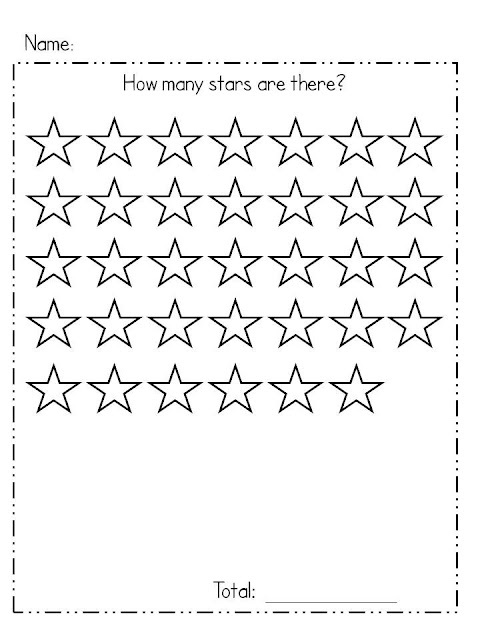 Then you call each student up and ask them to tell you how many stars there are. Then point to the four and ask them to show you where that is in the picture. Then point to the three and ask them to show you that number. Students who have a good grasp of place value know that the three is really thirty and can circle or count of 30. Students who do not have a good grasp of place value will show you three. Some students will be confused and have the look on their face that they know three isn't right but can't figure out how to make it right. I also pay attention to how students count the stars - can they count by 7's, do they count by 5's and then count by 2's or do they count by 1's. I know it seems super simple but it is effective and quick. The second is my attempt to add on to the first one - to get a little more info from the students before I meet with them. You can click on either page to pick up a copy of them. 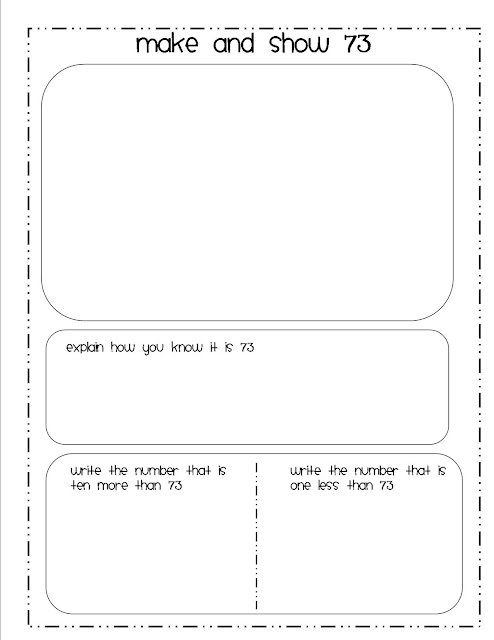 If these are still too simple for you, Jivey shared a place value assessment that asks students to make 1000. Click here to go to her blog post. I know I am late to the workshop party but since I am late to one party I might as well be late for two. 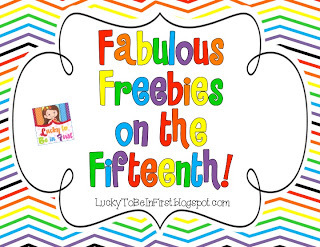 I am going to link up with Molly at Lucky to be in First for her Fabulous Freebies on the 15th linky too. In addition to the above freebies I want to re-share something I first shared back in May on Tonya's Treats for Teachers blog and have been working on all summer (well actually shuffling it to the side as I do other things). I am hoping that posting it again will get me motivated to finish it (especially if I hear that it is something others might use). 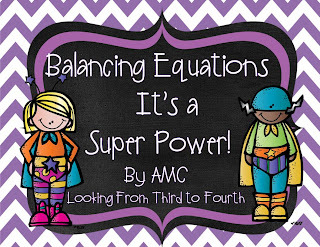 Every year when testing comes around I realize my kiddos do not have enough practice with balancing equations - so I am working (really I am) on making some supplemental materials to help them with this. Here is the freebie. Very cute Freebie! This is a great way to introduce and show how equations must remain balanced. I may use it as a launch with my sixth graders. They get nervous with variables, but this is a quick way to show they have been doing it all along. Thanks! Hi, and thanks a bunch for the freebies! For some strange reason, my computer doesn't seem to be getting along with Dropbox today. If it's not too much hastle, could you please Email me the super power freebie? jtsoundtech at verizon dot net ;) Thanks. I printed all the freebies, and using them the first week! Thank you so much!! 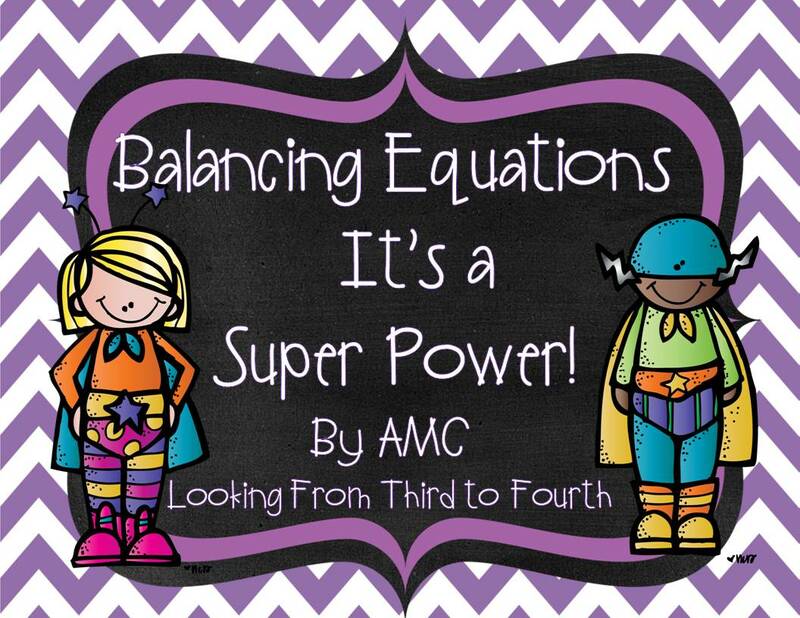 LOVE the Balancing Equations freebie! Thank you! Thank you for all your freebies! I will use them. I super loooooooove your place value assessment and it's similar to what I used to do in 3rd because it totally does tell you what they know about place value. Do you use this in 4th? I've still been struggling on what exactly to use for that too...But I love this. And no pressure, but my students always struggling with balanced equations...just sayin'! That equations freebie is just awesome! Of course I still downloaded it because I am relying on helping out those struggling math students next year even though my day will be filled with ELA. Man, I'm really going to miss math! I love your place value assessment too. Something so simple can tell you SO much about a student's math comfort level!